Amenan Agnès Kouame (PhD student at UNIL) is working on the vulnerability to pollution of the aquifer of Abidjan. Abidjan is a 7 million inhabitants megacity, with several huge rubbish dumps located inside the city. 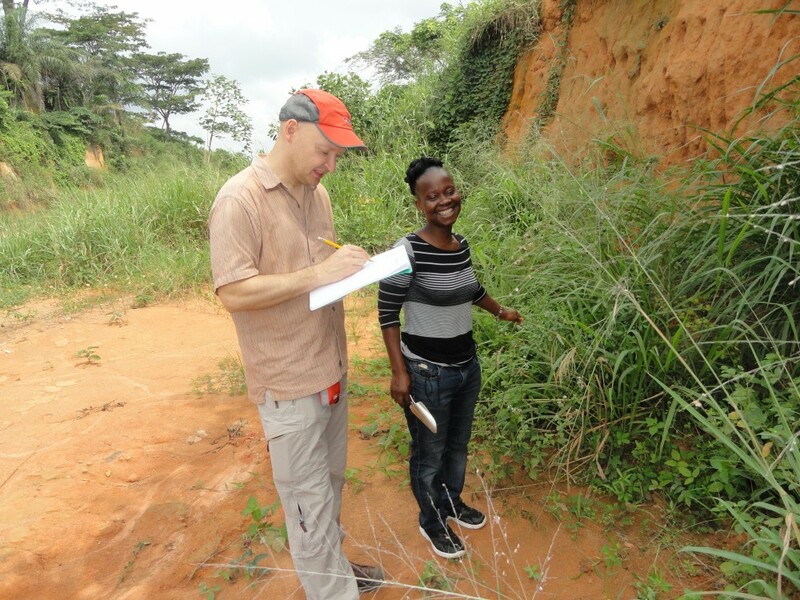 Some fieldwork was done in January 2014, with Marc-Henri Derron, for soil and geological mapping and sampling. 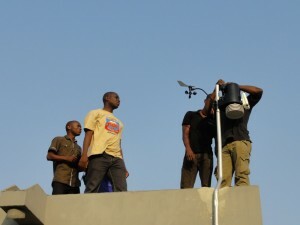 For this project four piezometers divers will be setup and a mini-weather station Davis has been installed at the University Nangui-Abrogoua. This project is made in cooperation with the Prof. Goula of the Laboratory of Geosciences and Environment (University Nangui-Abrogoua), and thanks to the help of Prof. Abdoulaye Abba Toure (Centre Suisse de Recherches Scientifiques en Côte-d’Ivoire). 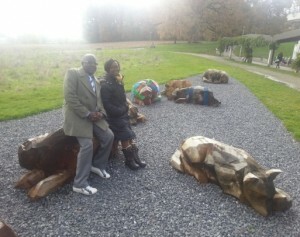 Prof. Abba Toure and Jaboyedoff visited each other end of 2013 to launch this project. Left: Prof. Abba Toure and Agnes at UNIL. Rigth: installation of the weather station at Nangui-Abrogoua. 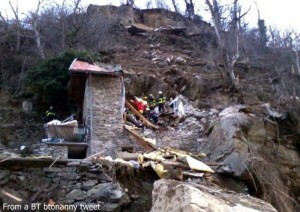 A 100 tons, 40 m3, rock block struck a former sheepfold transformed into a chalet in the village of Isola in the night on February 23th 2014, in the French Alps of Alpes-Maritimes department. Two children were killed and five other persons were slighty injured. After having passed through the chalet, the block stopped on a road below (NiceMatin). 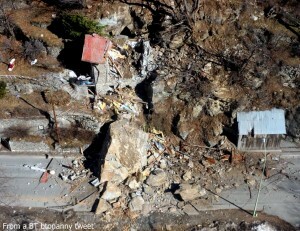 Seven people, five adults and two children, were asleep when the massive block, measuring 10 m by 5 m, hit the three-storey chalet at about 3:30 am. Three persons could leave the chalet by themselves. At 4:30 am, a mountain rescuer accompanied by a sniffer dog found a man and a woman under the rubble. The lifeless bodies of the two boys, seven and ten years old, were discovered at 7:00 am. Sixty paramedics and mountain rescuers have been deployed on the site. The five adults were transferred into a hospital in Nice where they received psychological support (NiceMatin). According to G. Marchand, gendarmerie commandant, “the rock felt because the rock face had been weakened by a strong rains period followed by a milder weather” (NiceMatin). Meaning that cracks in the cliff were filled with water relieving the rock. The geologist A. Faure, who has investigated the site, explains that 100 m3 rock felt from the slope, including a rock block of 50 m3. She explains that rock broke up because of repetitive freeze-thaw actions. According to the geologist, road clearing and security works will take one week and new expertises are necessary. She explains that it is quite common to find old sheepfold build on rocky slabs in the area. They have been protected from rockfalls by low stone walls. But those stone walls broke down over time (AFP). The RM 2205 road is closed but a traffic deviation has been set up to allow an access to the ski resort of Auron and villages in the upper Tinée valley. This access is essential because the event occurs during the French winter school holidays which are the busiest time of the year for the Alpine resorts (BBC). 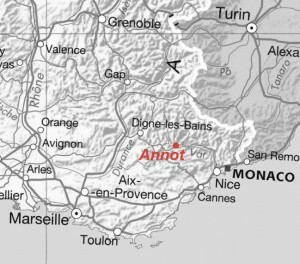 This tragedy occurred fifteen days after the rockfall event on a train in Annot, 37 km away, and five weeks after the rockfall which cut the road 10 km down the valley. 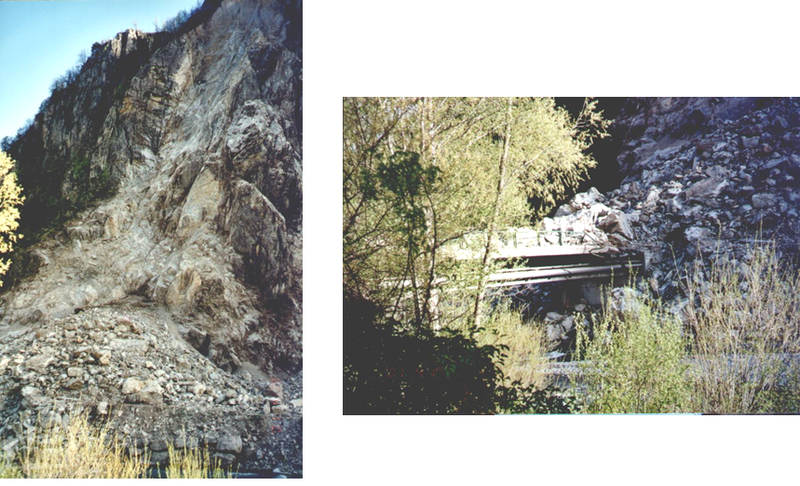 A rockfall occurred on the opposite valley side, 300 m downstream in the early 2000ies. The rocks mass covered a bridge. The Isola area is instable and hazard events occur frequently (Riskpaca). Different studies have already been made in the area, such as the one produced by the Ecole des Mines de Nancy (Gunzburger et al ). 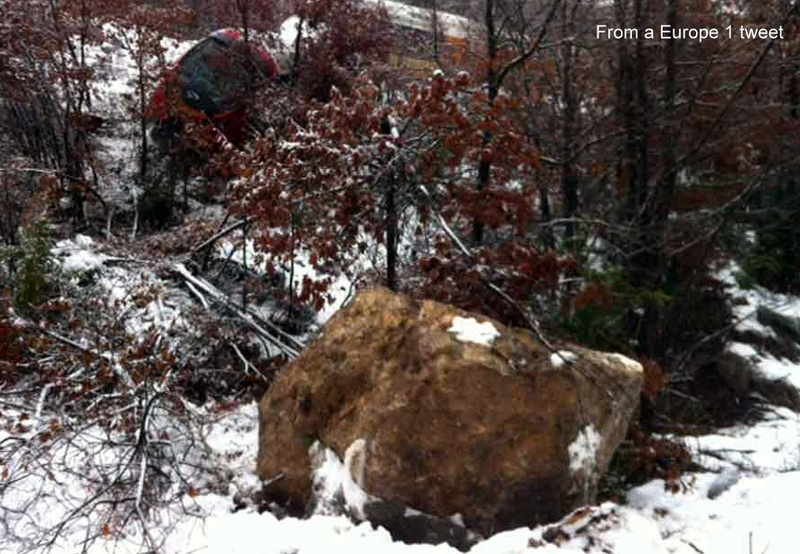 A 10 to 20 tons rock block, of the size of a car, struck a train in the French Alps on February 8th 2014 (Nice-Matin, Haute-Provence info). 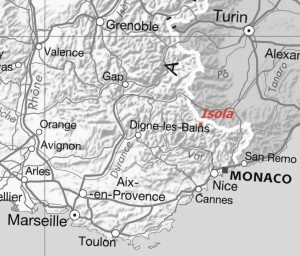 Two persons were killed, one person was seriously injured and seven other persons were slightly injured, including the driver (La Provence). Thirty-four passangers were in the train (TF1). About hundred twenty firefighters, with 32 vehicles and 3 helicopters, were involved in the rescue operations (Nice-Matin). The train had left Nice at 9:25 AM in direction of Digne-les-Bains (Nice-Matin). 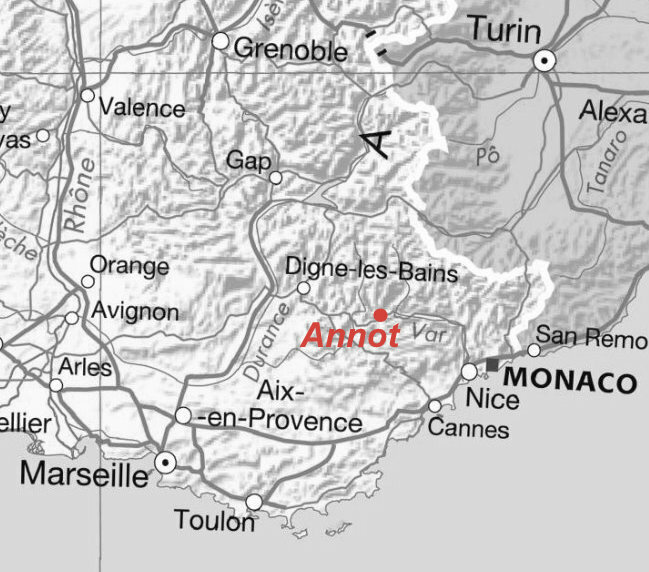 The accident occured at 11:10 AM near the village of Annot (Nice-Matin), at an altitude of 610 m (Google Earth). The train speed was 30 km/h at the impact time (France3). The block came from a cliff 200 m above the track (Metronews) and it destroyed two rockfall protection nets on its way (La Provence). 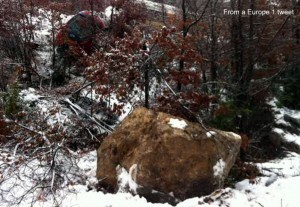 Weather conditions seem to have contributed to this event: snow and rain have alterned for about ten days, and freeze-thaw cycling may also have contributed to the rock failure. The track was inspected less than one month before (TF1). Presently the cliff stability is investigated and the protection nets have to be emptied before to start to remove the train (railways clearance will follow afterward)(TF1). 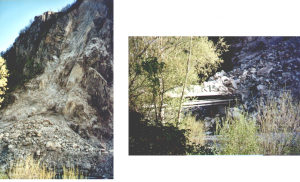 The road parallel to the track is presently closed because of the important rockfall risk (Bison futé) and a safety perimeter has been etablished until the results of the geologist expertise are given (La Provence). Warning: because of numerous incomplete or contradictory information delivered right after the event, we selected what we consider as the most reliable information up to now. The source of each information is indicated in the text. 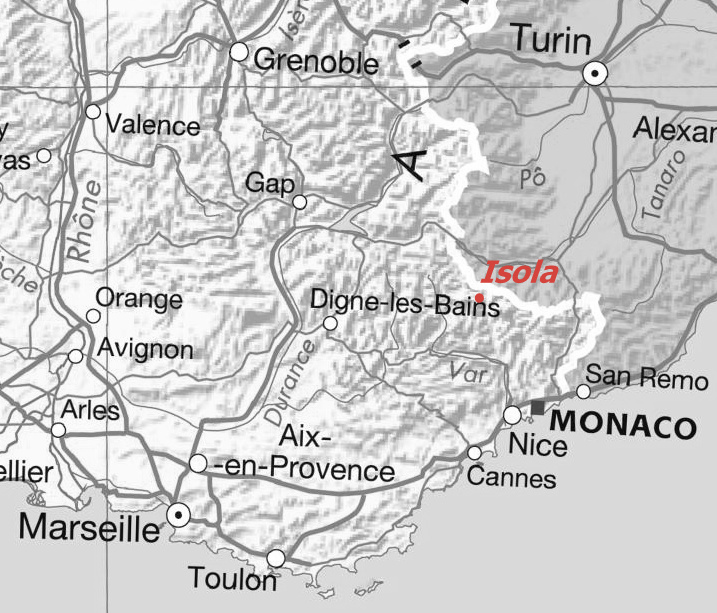 Sources: Nice-Matin, Nice-Matin, TF1, France3, La Provence, La Provence, Metronews, Haute-Provence info, BBC, Bison futé.